UK-based investment company Standard Life and ING’s Australian subsidiary are working with IBM on a range of digital and data management initiatives. Standard Life is personalising its financial services capabilities “to each of its 3.8 million UK customers”, IBM states. Using IBM’s analytics tools Standard Life “can accurately track a person’s interactions across different screens and devices by examining both structured and unstructured data that previously was left untapped”, the vendor states. 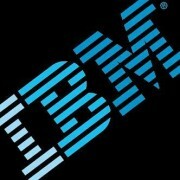 With IBM Campaign and Interact, the investment firm can use this information to create a “unique customer snapshot” so that its employees “can then more effectively prescribe the appropriate action, all in near real-time”. The solution enables Standard Life to deliver this level of personalisation across multiple channels – online, mobile or via Standard Life’s contact centre. The latter has been utilising IBM tools for some time, says IBM, and “has already seen significant and immediate return on investment”. Contact centre employees have live, personalised messages to refer to when talking with a customer, built on the predictive models and analytical technology. According to IBM, as a result, inbound offers presented have seen an uplift of 8%. Stephen Ingledew, MD, marketing at Standard Life UK, says that the company has got to know its customers and their needs “on an entirely new level”, making it possible for Standard Life to present the right offers at the right time. ING Direct Australia has turned to IBM to help build up a customer base of “younger digital savvy consumers” who prefer online and mobile banking to traditional “brick and mortar” branches. By using IBM’s tools, “ING Direct can glean insights on how a customer is interacting with the business, whether it’s across the web, mobile device, or call centre”, states IBM. ING can generate personalised messages to over one million customers and prospects each month, which has allowed it to double its customer acquisition rates year-over-year, the vendor says. ING has also halved the time required to create and deliver larger personalised customer campaigns – from six days to three. Call centre experience has also been improved – now when a customer hits the “call me” button on the mobile app, the customer service team has a much better insight into the customer’s situation. As a result, the conversion rate has grown by 120%, says IBM. Fintechs must stop squabbling with the regulators for real progress to be made. Aims to bridge gap between traditional banking systems and blockchain. Offers much faster solution to machine learning and AI-related tasks.